So as most of you may know, I've moved into my first home! New home, means new GARDEN! Which means, new backdrop for my outfit photos. I haven't posted for a while, because I've been so busy moving my life from A to B it feels. Now I'm living a grown up lifestyle, I''ve got to take on all the grown up things that come part and parcel, including; a mortgage, bills, more bills, boilers, washing up, buying furniture and so many things you never thought you'd have to think about buying..like, toilet bins and brushes!! The outgoings are endless! However, I won't lie, it's bloody exciting, life-changing stuff. 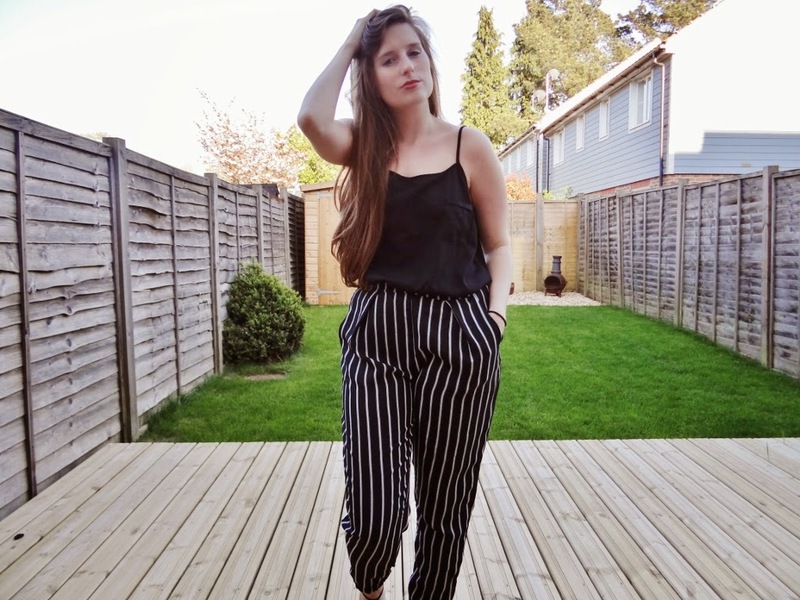 Fashion has taken a bit of a back seat recently, as you may have noticed on my Instagram, fashion has been quickly swapped out for homeware and home decor, which have quickly crept in as my go-to insta-snaps. 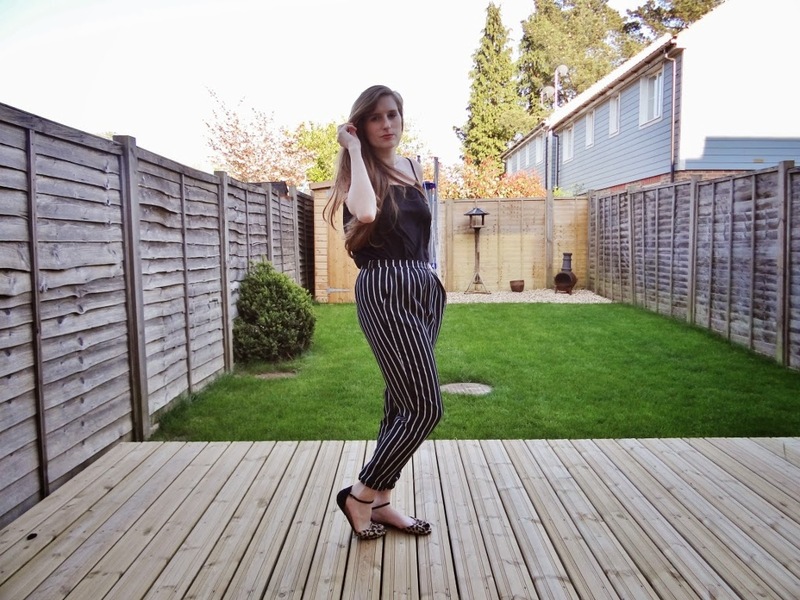 Today I bring to you fashion, and these amazing black and white striped trousers from Glamorous. 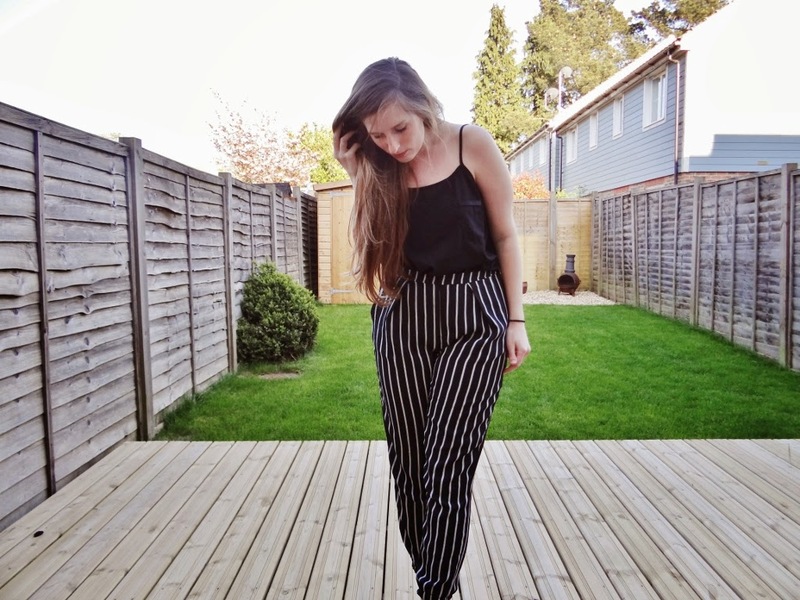 These luxury tapered trousers bring bold emphasis to any plain outfit. I was really jammy as I managed to win a 'retweet' twitter competition with glamorous for a £100 voucher to spend on their site and I bought these beauties and lots of other snazzy bits! I paired them with my delicate dainty leopard print sandals from Primark to give the ultimate spots and stripes clash. 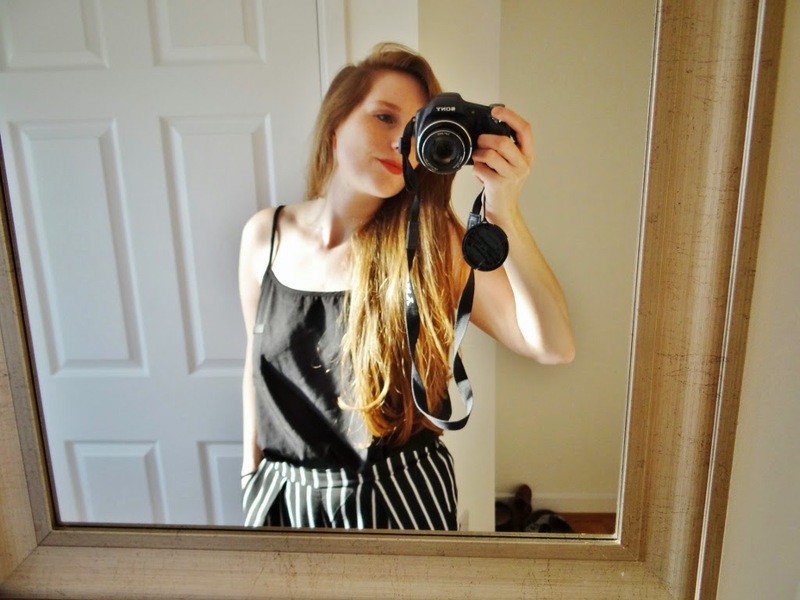 Keep your eyes peeled for more fashion posts!